Dyno Session & Engine Labs Article with Hilborn Stacks! You've Been Dreaming About It. You've Waited For It. Now It's Finally Here! This Is Probably The Coolest Engine We've Built In The Last 10 Years And Is Guaranteed To Put More Smiles Per Mile And Generate More "Oohs & Aahs" Than Anything Else On The Planet! If You're A 409 Buff ... This Bud's For You! (1) Composite Fuel Pump Rod Required with our custom camshafts. Why Buy A Carburetor From Us? 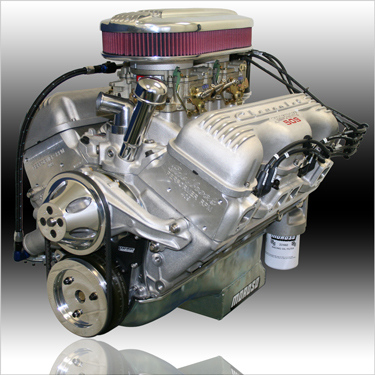 Yes, you can certainly purchase a stock carb from the big mail order companies but we've seen carbs out of the box down on power as much as 40HP and between 15-20HP is common. That's why we disassemble and blueprint EVERY carburetor before we ever bolt it on your engine. We then tune, adjust and jet your carb on your engine so you get every ounce of power that you paid for.